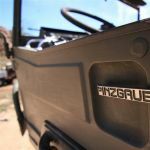 Pinzgauer Rescue - THE PORTAL HUB - Pinzgauers, Haflingers, Volvo 303s and more! like Golden Retriever rescue, Pit-bull rescue -- you get the idea. Already placed orders for some parts from EI, list will grow fast. Oh no, you did it. the 710K but what the heck. All paper work in to the DMV just waiting for plates. Just glad that "puppy" found it's forever home! There is a guy on Facebook selling lots of 712 parts including the body. Jason Wong I believe he is in Stockton Ca. Area. Thanks for the tip!! I'll see if I can contact this guy. on any of the Pinz forums I am aware of. I am looking forward to seeing more of this great "learning opportunity"! Contact The guy on FB responded, we will hook up this weekend. not have known about it otherwise. 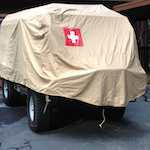 Congrats on the new project - should be fun to wrench on! I'll swing by and pick some stuff up. Stockton not too far from me. seems every time I try to save a pinz it cost me money to get it back to "everything works" condition. I think I do it more for the idea of keeping them alive then anything else. to keep me busy and out of trouble.